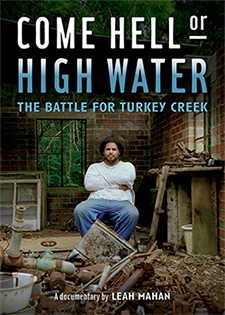 COME HELL OR HIGH WATER follows the painful but inspiring journey of Derrick Evans, a Boston teacher who returns to his native coastal Mississippi when the graves of his ancestors are bulldozed to make way for the sprawling city of Gulfport. Derrick is consumed by the effort to protect the community his great grandfather's grandfather settled as a former slave. 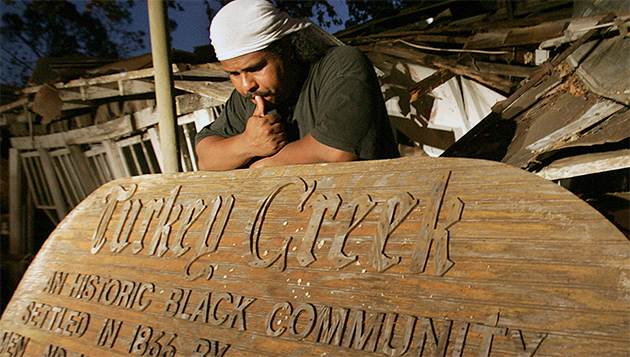 He is on the verge of a breakthrough when Hurricane Katrina strikes the Gulf Coast. After years of restoration work to bring Turkey Creek back from the brink of death, the community gains significant federal support for cultural and ecological preservation. Derrick plans to return to Boston to rebuild the life he abandoned, but another disaster seals his fate as a reluctant activist. On the day Turkey Creek is featured in USA Today for the 40th anniversary of Earth Day, the Deepwater Horizon oil rig explodes.